After a salmonella outbreak an Indiana company is recalling all its melon products. 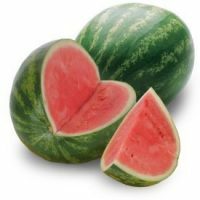 Caito Foods is recalling any pre-cut fruit including watermelon, honeydew, and cantaloupe. The fruit has been sold at several stores around the state including Kroger, Walmart, Trader Joe’s, Target, and Whole Foods. The fruit is also sold under various brands and labels around the country. Officials report 93 people have been hospitalized because of the salmonella in the fruit.